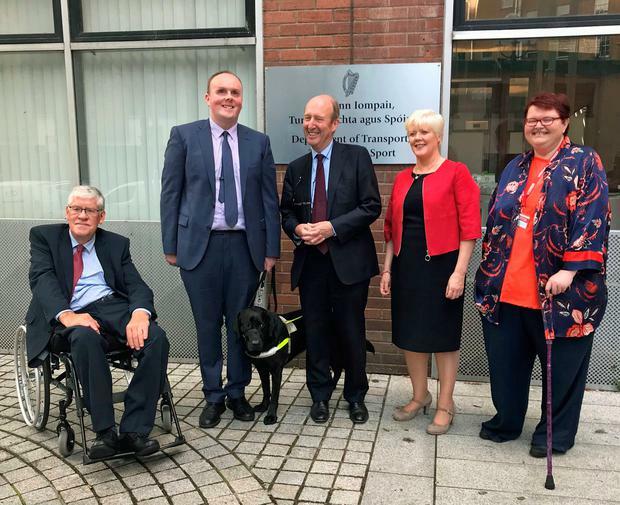 TRANSPORT Minister Shane Ross has appointed five people with disabilities to serve on State transport boards in an effort to improve services for people with disabilities. The appointees include Diarmuid Corry who will sit on the board of Bus Éireann, Liam O’Rourke who will sit on the board of CIE and Kevin Kelly who will sit on the NTA. Meanwhile, Suzy Byrne will sit on the board of Irish Rail and Elaine Howley on the board of Dublin Bus. Mr Ross today described the appointments as a “fairly radical departure in the history of State boards” and would represent a chance for the voices of people with disabilities to be heard at the highest level of the transport sector. While the five people appointed are eminently qualified to serve on the boards, he said their added value would be their direct experience with disabilities which will help to inform policy decisions. He expects them to “challenge management” on every occasion he added. Mr Kelly noted that people with disabilities rely on public transport to go about their daily lives, while Ms Byrne – a longtime critic of many aspects of Irish transport facilities for people with disabilities – noted that wheelchair users cannot spontaneously decide to take a train as they must give notice to stations. Ms Byrne also said it was important to look at the complaints system in place and ensure that people make complaints when necessary to make their voices heard. Other examples of issues facing people with disabilities and public transport in Ireland discussed today included accessibility issues on rural buses and buses operating even when a wheelchair ramp is out of order. Meanwhile, Ms Howley noted that as Dublin Bus looks to revamp its service it is important that visual accessibility is to the fore to ensure people with impaired vision are able to navigate the services effectively.